Learn how Forex trading is going to be affected by cryptocurrency HERE. One of the best ways to learn something is by experience. You are never fantastic in the beginning and make mistakes. Investing and trading are no different. I went back and looked at what I was doing when I first started. Somethings made me happy, while others made me shake my head. Many people do not want to share their mistakes out of fear. Fear of being made fun of or being called stupid. I don’t care. Two reasons I want to share my experience. 1. Start with small amounts because you will make mistakes. No one likes to lose money, so even with a small amount you at least put money in the game. 2. 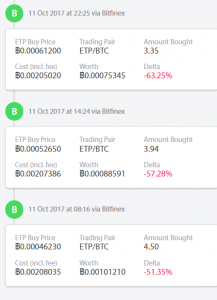 The first coin I found on my own is ETP, so I became attached. Do not get attached to a coin, stay neutral. 3. After investing in ETP it rose quickly. I put more money to make more of a profit. Selling would’ve been the better thing to do. 4. At one point I was over 100% return on my ETP investments, but I staked my coins for a year to get a 20% return so selling was not an option. Make sure you want to stake your coins, 100% is always better than 20%. 5. 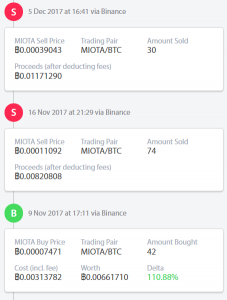 I like IOTA, but this did not stop me from selling. If possible, take at least your initial investment out. 6. 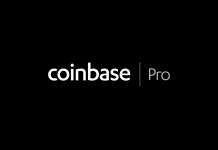 When selling, you can always leave coins behind for a long term hold. 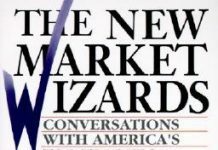 Do not look at selling like an all-or-nothing proposition. 7. Dollar cost averaging is a good thing. Instead of buying all at once price, set buy prices or days. Meaning buy at that price or day. 8. You can use dollar cost averaging when selling. 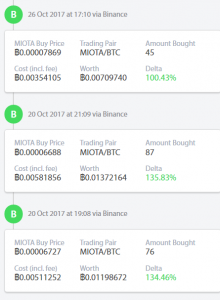 When I sold IOTA, I did not sell everything right away, I sold some and waited. Because I waited, my return was bigger. 9. When I sold 100 ZCoin at $75 I made around $7500. A week later the price went to $150. If I had waited, I would have made $15k. This bothered me for a while. Now the price of ZCoin is $18 and my sale looks good. Never, ever feel bad about taking a profit. Focus on what you got, not on what you do not have. 10. 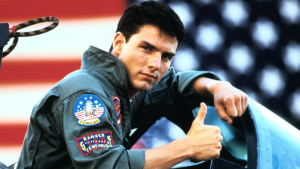 I own a ZCoin masternode. A masternode is when you own a certain amount of coins and process transactions for that network. They pay you in that coin. This can take a lot of coins, and money, to own a masternode. 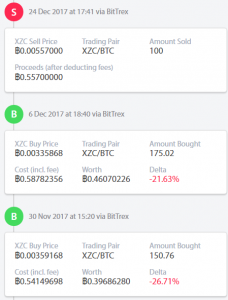 I did not sell all of my ZCoin when the price rose to $150 because I owned a masternode. This was my biggest mistake. Let nothing keep you from selling if you think you should. Studying these trades has helped me remember many things and I hope this has helped you as much as it did me.